5 STARS!!! Let me say this... from the beginning Mike was 100% with customer service. I honestly never seen anything like it. I have to apologize in advance... this review was a long time coming as with the service I received, I wanted to do a review immediately but better late than never right? I am really happy I ran into Mike and his indicators on mql5. I am not a review writer... not one bit. But Mike's level of service could not be ignored. The time he took to fully answer all of my questions and also with the way he went above and beyond with more than just the indicator, there was no way I was not going to write a review to let everyone know they are and will be in good hands! Thank you Mike. I will be in touch shortly! The indicator is perfect, but the customer support is absolutely amazing! Great job Mike and team Scorpion! Keep going! Well, these people know what they are doing. They are there to help people, customer service is superb, excellent indicators.Thanks mike and the Team for your services. Ok, just a minor update on the S&P 500, Mike got that fix for me --brilliant! ok so i was totally caught off guard by the level of customer service i received from these guys. not only do they care about putting out a quality product but they want to ensure you are using it properly. giving suggestions, answering all my questions, and keeping it real. They are awesome!!! I've got to say... The customer service is amazing, they definitely put their customers first. If you have any questions, they will respond right away! It is very good indicator to clarify any doubt about the tendency and avoid wrong investments. Excellent customer service! This indicator will change the way you trade and it's a must have indicator!!! The trend is your friend. You will never regret getting this indicator. If you catch only 5 - 8 pips per trade, you will win and make profit. I give this indicator 10 stars instead of 5 stars because it's just that good. It does not matter what level of a trader you are; novice or experience, you need to get this. The customer service is amazing because they put their customer first. If you have any questions, they will respond right away. Great tools. Great customer service. Very knowledgeable and willing to help. BEST INDICATOR & BEST CUSTOMER SERVICE !! Great Indicator and fantastic customer service. 100 stars!! Thank you Mike! Very good product and the support of Myke is very good too! Not only is the product amazing, the customer support is out of this world. Thanks Mike and everyone who created this! Best indicator! Super customer service! Have been using this dashboard about two weeks now and it really helps taking look at the overall strength of a pair in all timeframes. Outstanding support and kindness. Worth the money. Really good indicator. it's good to let you know what trending most to least and also to find those pairs that are retracing on the lower timeframes for possible entries with the trend. I always check the dashboard before a trade. Cant say enough about the quality of their service. The tool provides an instant overview of all currency pairs with regards to their short / long term trend positions. As you should never take trades against the higher time frame, this tool provides you with this information in the clearest format possible. Extremely clear and helpful. A personal thanks to Mike for all your valuable help and advise. Very usefull indicator and very helpfull custom servis. Amazing product! Great support and advices! 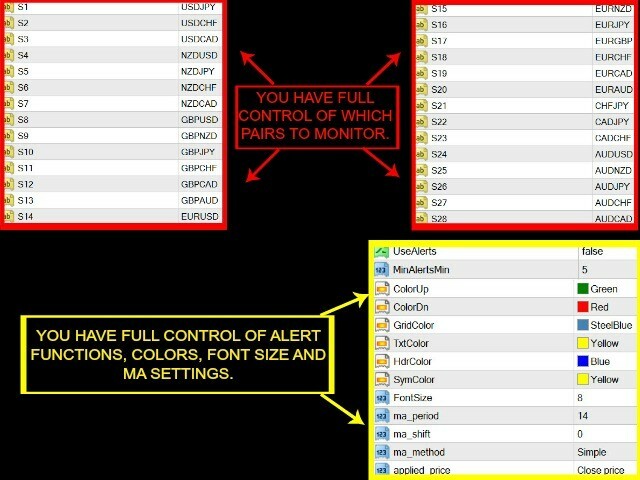 I think I will purchase all indicators from ScorpionFX. Another great piece of software from the ScorpionFX people...really enjoying the early "heads up" about possible trades! Also, thanks so much to customer support...Mike has been awesome and so patient in answering all my questions! I have several of the ScorpionFX indicators and without a doubt they have the absolute best combination of accurate indicators and helpful customer support...you cannot go wrong with this company! If this sounds like it must be something written by the company itself...I can understand why you would think so. Just read ALL the reviews and comments on ALL the indicators ScorpionFX offers---I read them all and failed to find even one really negative review--quite an accomplishment in terms of customer support considering that most people do not even write reviews unless they are DIS-satisfied with something! I think if you give ScorpionFX a try you will NOT be disappointed! Great product and very great customer service. 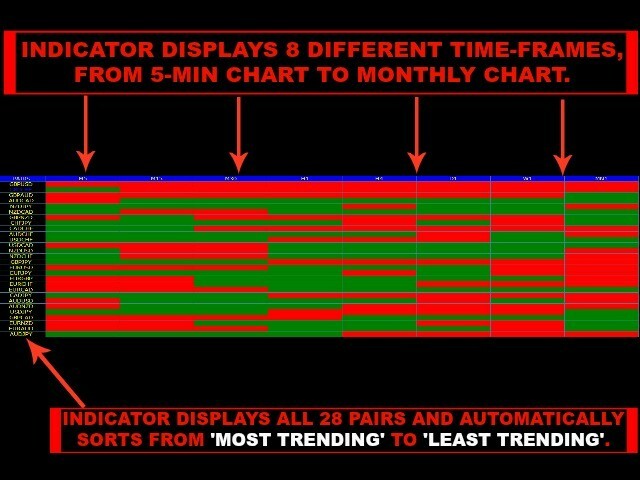 Awesome indicator has really helped my day to discover and trading knowing what pairs to look at in just a second... I have 3 Scorpions indicators every single one of them work great! And also I would like to give a excellent feedback to the technical service in the person of Mike, he is really kindly and skilled trader! Great screen tool that puts everything in one central location saving loads of time. 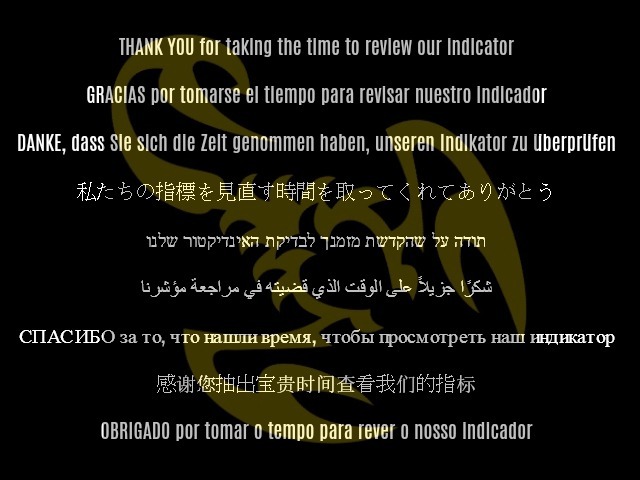 Kudos to Scorpion's customer support. Mike was great! I needed a dashboard that gives me a quick indication of market bias on one page, I chose this trend finder and I am very pleased with it. I bought this indicator recently and I must say it is very useful. 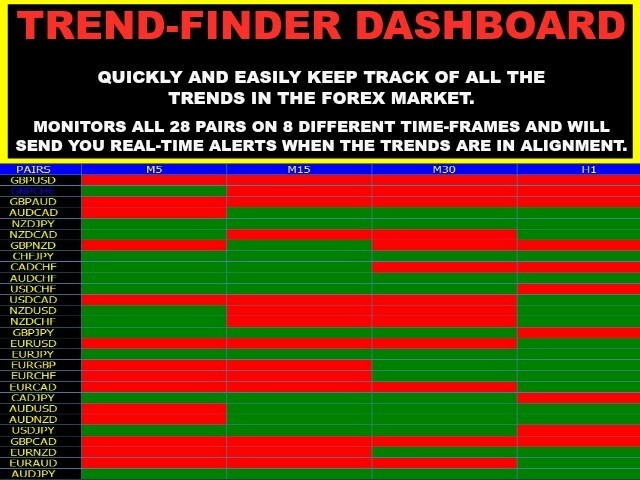 It saves me a lot time to determine the trends of all the currency pairs monitored. To see it in a diagram , I can see clearly and quickly how the pairs are doing. Top quality product , highly recommended !! Love this indicator. 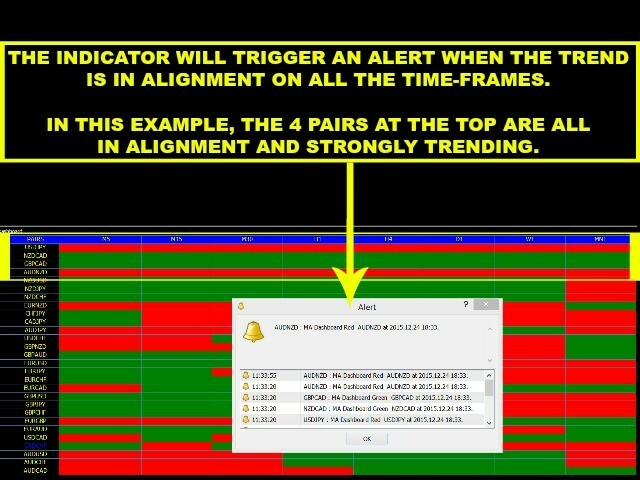 One look and you quickly know what pairs to monitor for high probability trades. Also, although I don't trade binary options very often, I tried a few trades as my broker also offers both types of trading with 7 winners from 8 trades. I strongly recommend this indicator and cannot give it anything but a 5 star rating. I have purchased a few indicators from this company and have not been disappointed. Staff offer very helpful hints and promptly reply to any queries. Absolutely amazing indicator in its concept and execution. The support team guided me far beyond the product itself promptly and professionally, it's no wonder they come up with exceptional products that are cutting-edge and setting new benchmarks in the process. Highly recommend it to anyone who wants to take their trading to the next level.